349.23 349.23 Authority to designate bicycle lanes and bicycle ways. 349.23(1)(a) (a) Designate any roadway or portion thereof under its jurisdiction as a bicycle lane. 349.23(1)(b) (b) Designate any sidewalk or portion thereof in its jurisdiction as a bicycle way. 349.23(2)(a) (a) Designate the type and character of vehicles or other modes of travel which may be operated on a bicycle lane or bicycle way, provided that the operation of such vehicle or other mode of travel is not inconsistent with the safe use and enjoyment of the bicycle lane or bicycle way by bicycle traffic. 349.23(2)(b) (b) Establish priority of right-of-way on the bicycle lane or bicycle way and otherwise regulate the use of the bicycle lane or bicycle way as it deems necessary. 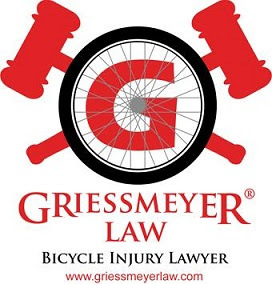 The designating governing body may, after public hearing, prohibit through traffic on any highway or portion thereof designated as a bicycle lane, except that through traffic may not be prohibited on any state highway. The designating governing body shall erect and maintain official signs giving notice of the regulations and priorities established under this paragraph, and shall mark all bicycle lanes and bicycle ways with appropriate signs. 349.23(2)(c) (c) Paint lines or construct curbs or establish other physical separations to exclude the use of the bicycle lane or bicycle way by vehicles other than those specifically permitted to operate thereon.